We aren’t vegetarian or vegan but anything with black bean generally gets my vote. These burgers have slot of flavour and aren’t too dense (unlike some other non meat patties) my lower rating is purely due to price we generally only get these a couple times during a year and if they’re saving a few dollars. I’ve bought these burgers twice. I find them quite expensive, that’s why I can’t give them more than 4 stars. But they are delicious. You don’t need to be vegetarian to enjoy them, I assure you!! 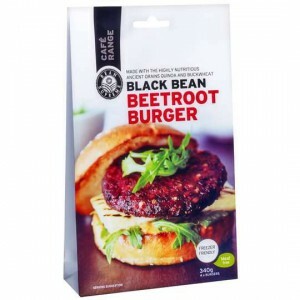 How would you rate Bean Supreme Black Bean & Beetroot Burger?